As I was preparing this post for publication, Left Coast Crime announced the finalists for this year’s Lefty Awards, including Keenan Powell‘s Deadly Solution for Best Debut Mystery Novel. 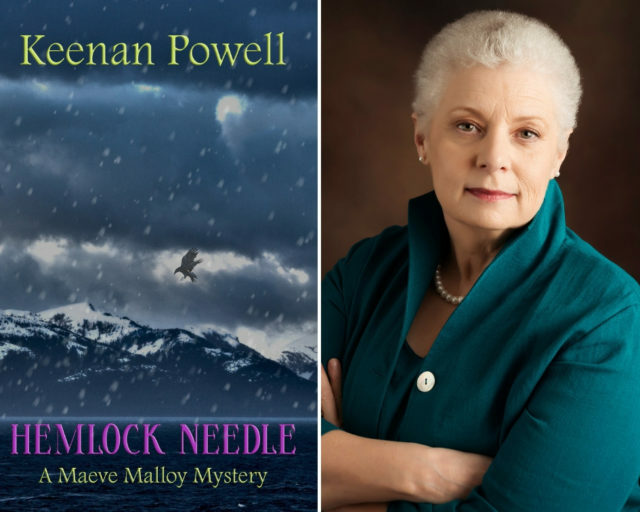 What fun to help celebrate that success by also celebrating the second novel in the Maeve Malloy series, Hemlock Needle, released today by Level Best Books. Keenan and I have been friends for a long while now, spending time together at Malice Domestic and also interacting regularly on Facebook. It’s been a thrill to watch her career grow and evolve—and to be some small part of that myself, having been on the editorial committee that helped select her fine story, “Velvet Slippers,” for the Malice anthology Mystery Most Historical. I hope you’ll admire and enjoy Keenan’s work as much as I have. The essay below offers a glimpse at Hemlock Needle, the inspirations behind the novel and the world that Keenan writes about. And find out more about the Maeve Malloy series and all of Keenan’s work at her website here.